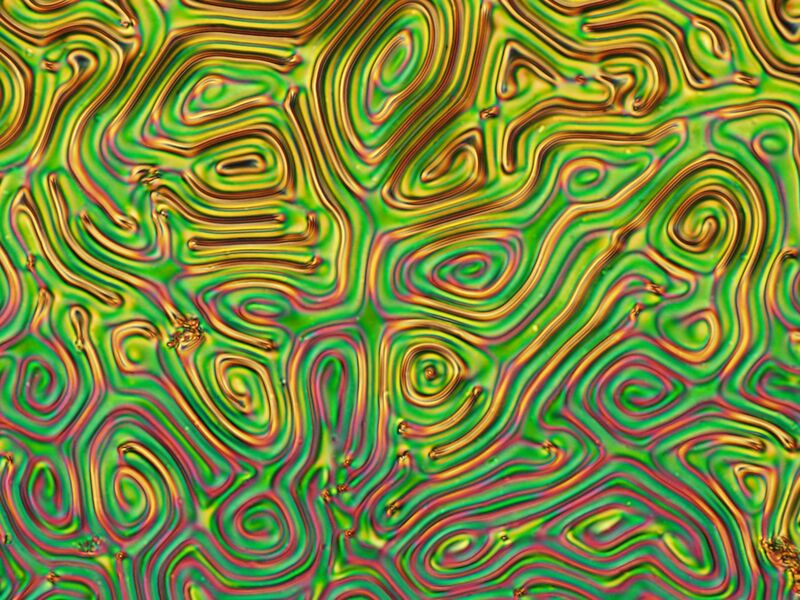 These images show textures of a liquid crystal as observed by polarized optical microscopy. The liquid crystal was created by adding traces of a crystal to a fluid material which would look simply black under the same conditions. 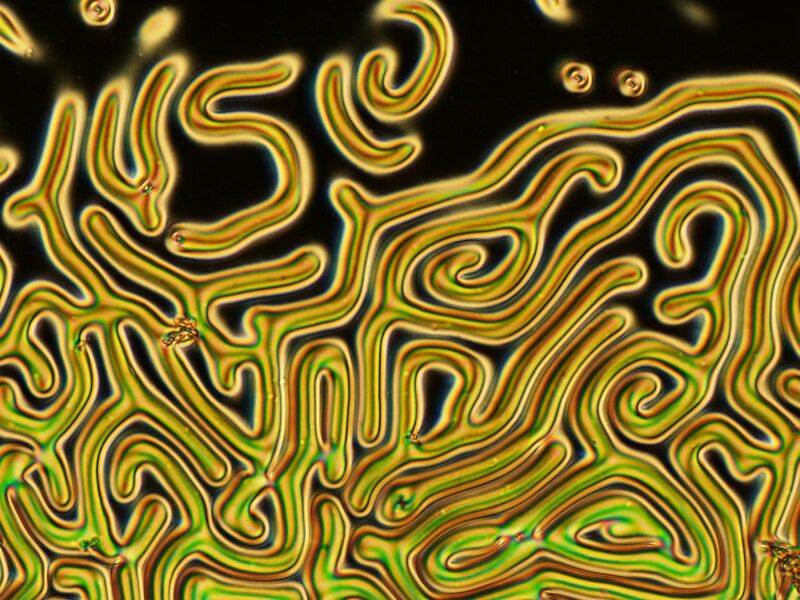 Adding the dopant initiates the formation of these fascinating microscopic patterns with iridescent colors. It shows how we can influence macroscopic properties by manipulating molecules at the nano scale.